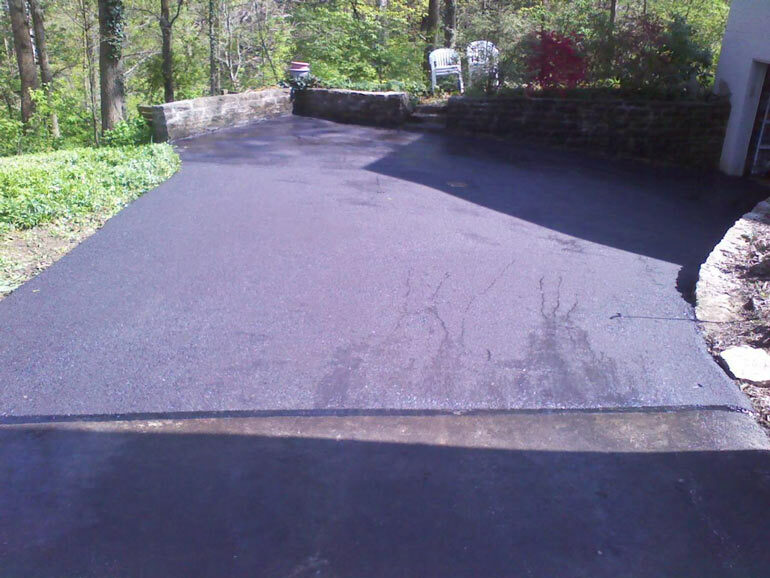 Asphalt Patching will typically be required during the lifespan of a driveway. The areas that are good candidates for asphalt patching are pot holes, alligatored cracking, deep cracks, tire ruts & settled pavement. Before the excavation begins, we paint the failed areas and “square” them to give the most pleasing aesthetic appearance. 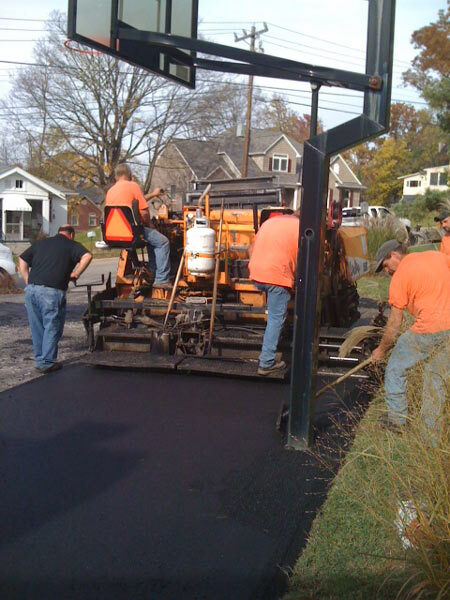 We use a small asphalt grinder or other machinery to remove the failed pavement. 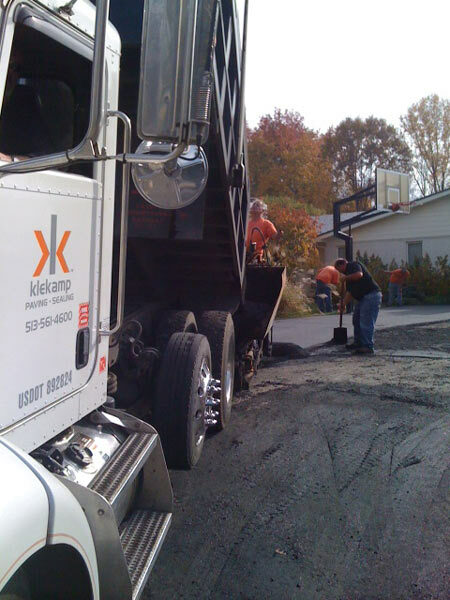 We then compact the existing subgrade and install the new asphalt to complete the repair. 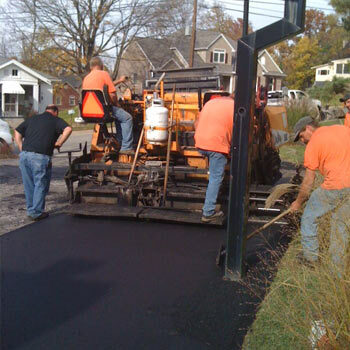 The final step includes installing hot tar around the perimeter of the repair. This will keep water from penetrating the gap between the new and existing pavement. The depth of the asphalt repairs can vary depending on the severity of the failed pavement and what type of traffic it typically receives. 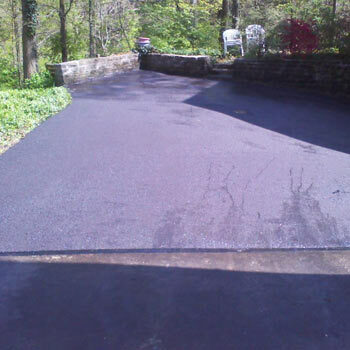 Most driveways require a 2” to 4” deep asphalt repair, however, an 8” to 10” repair may be needed if the subgrade has failed. Every driveway is unique and the solutions can vary. 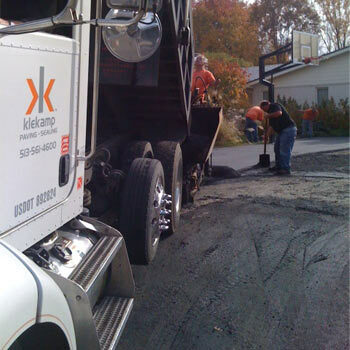 We at Klekamp look at every driveway like it is our own and we will design a cost effective solution to meet your needs.